Palazzo Consiglia has renovated a large Valletta townhouse into a luxury boutique hotel of timeless elegance. Each of the guest rooms are individually themed giving a unique experience to each stay, plus they have all high-tech facilities needed by both leisure and business travellers. The service at Palazo Consiglia is second to none and guests can avail themselves of a rooftop pool and terrace as well as an undergound spa (including a jacuzzi, sauna and steam room) which seems to transport you to another world. Palazzo Consiglia's elegance is immediately felt as you walk through its doors, past the reception and into the central courtyard which serves as a lounge area adjacent to the breakfast and reading rooms. 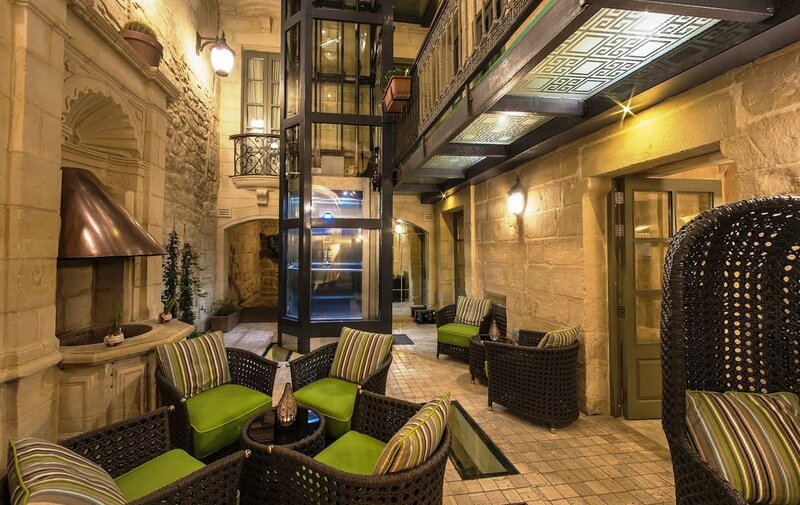 This is a boutique hotel that stays true to the prestige and history of Valletta.